Public exhibition of the Lachlan Surface Water Resource Plan is now closed. The purpose of the Lachlan Surface Water WRP is to set out how NSW will meet its obligations under the Murray-Darling Basin Plan 2012 in the Lachlan Water Resource Plan Area (WRPA). A WRP must comply with the requirements of Chapter 10 of the Basin Plan 2012 for it to be accredited under Division 2 of Part 2 of the Water Act 2007. The Lachlan Surface Water Resource Plan covers all the surface water resources of the Lachlan River Valley. It includes the regulated river system; unregulated rivers flowing into the regulated river system; unregulated effluent rivers flowing out of the regulated river system on the plains; and water captured through farm dams and floodplain water harvesting. Groundwater in the area is not included, and is covered by the Lachlan Alluvium WRP. The Lachlan Surface Water Resource Plan has built on existing water planning arrangements such as the statutory water sharing plans and consists of the main body WRP (Chapter 1-8), accompanying schedules (A-J) and appendices, boxes, figures and tables. You can read them by clicking on the links below. We have also prepared fact sheets to help understand the development of the WRP. A number of changes to water sharing rules are being proposed for the Water Sharing Plan for the Lachlan Regulated River Water Source which the department is keen to receive feedback on. See WSP rule changes fact sheet to assist you in making informed comment. There are a few changes to water sharing rules being proposed for the Water Sharing Plan for the Lachlan Unregulated and Alluvial Water Sources which the department is keen to receive feedback on. See WSP rule changes fact sheet to assist you in making informed comment. There are a few changes to water sharing rules being proposed for the Water Sharing Plan for the Belubula Regulated River Water Source which the department is keen to receive feedback on. See WSP rule changes fact sheet to assist you in making informed comment. Reports on the consultation undertaken in the Lachlan area as part of the WRP process including the Aboriginal nations consultation. The Lachlan Surface Water Risk Assessment has been prepared as a component of the WRP and identifies potential and emerging risks to water resources. Outline of how the objectives and outcomes in the WRP are aligned with objectives and outcomes in the Long-term water plan (LTWP) and basin wide environmental watering strategy (BWS). Also identifies water management actions and mechanisms that provide for environmental watering. The Lachlan Surface Water Incident Response Guide (IRG) has been prepared as a component of the WRP and outlines the approach for managing water during extreme water shortage or water quality events. The Lachlan Surface Water Quality Management Plan has been prepared as a component of the WRP and identified risks to water quality and potential strategies to manage these. 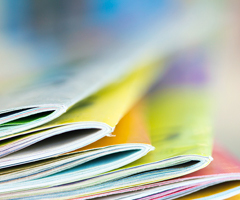 A list of resources used to develop the WRP. The Lachlan Surface Water Monitoring, Reporting and Evaluation Plan has been prepared as a component of the WRP, and its implementation will be key to evaluating the effectiveness of the WRP in the future and informing any future changes. The water resource description provides a comprehensive overview of the Lachlan water resource plan area. The New South Wales Office of Environment and Heritage is also exhibiting the draft Lachlan Long Term Water Plan (LTWP) to allow stakeholder feedback. 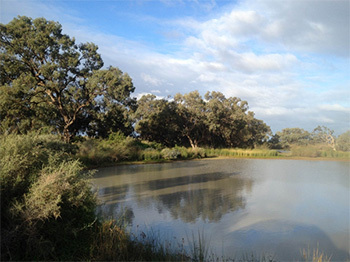 The Lachlan LTWP is part of the Lachlan Water Resource Plan package and has been developed to inform and guide water management and environmental water delivery. You can view the draft Lachlan Long Term Water Plan and provide feedback. A report on how the changes in the WSP have no net reduction on the protection of PEW.